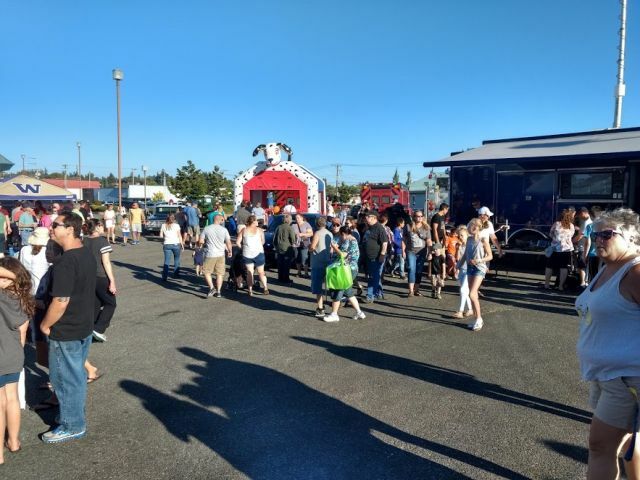 Went to two of these - the first one was in the town of Stanwood and they had about 500 people show up to meet the Police, Fire and Aid crews and oogle the equipment. An overall view of the crowd but this is less than 25% of the people - the event was spread over a large area. Love the Dalmatian Bouncy Castle. 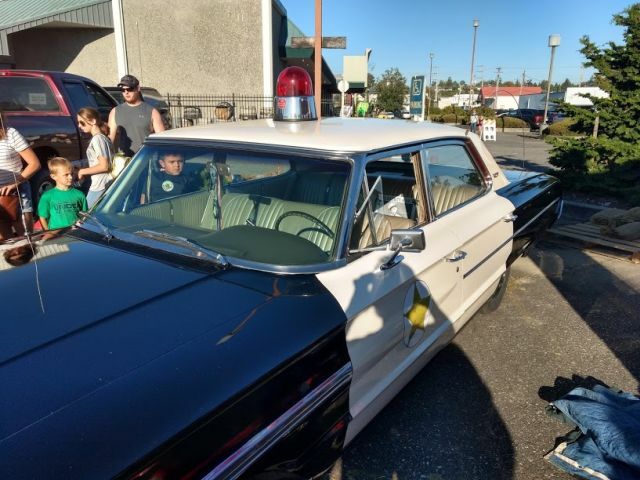 Fun old Ford Galaxie 500 police interceptor. Here is the event that was held close to my house - about 30 people showed up. 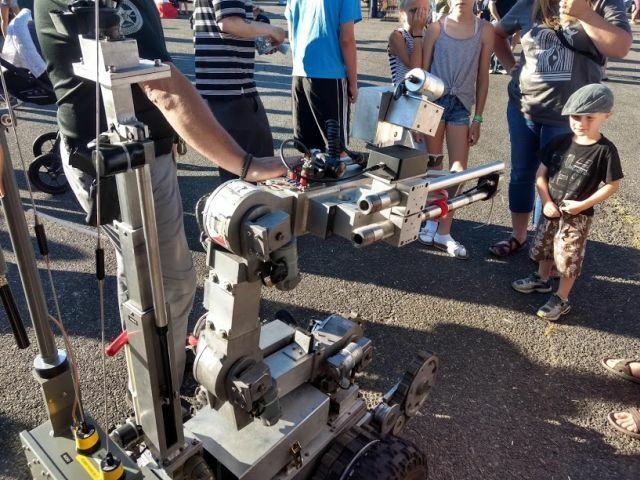 Among the exhibitors was our local Amateur Radio organization and the Camano Island preparedness group. I have been getting to know people in both groups so spent about an hour chatting with them. Good people. 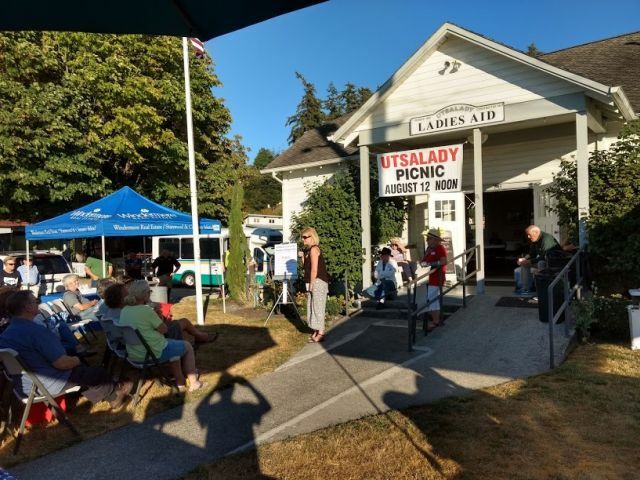 The Ladies Aid was started in 1908 with the intent of serving the growing needs of Utsalady. The ladies’ goal was simple: they wanted to improve the quality of life for their children and the families of their community. This page contains a single entry by DaveH published on August 7, 2018 8:04 PM. On the island for a day was the previous entry in this blog. The Broward (Parkland) School shooting is the next entry in this blog.